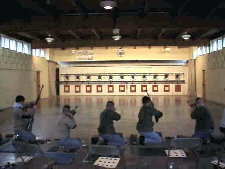 The Inland Empire Rifle & Pistol Association was organized to assume and expand the longest running NRA postal league in the country. This annual event is the Spokesman-Review Postal League which is in it's 95th year for indoor smallbore postion rifle and 72nd year for indoor .22 conventional pistol. The event has about 100 four person teams from all over the country competing every year. The postal league results are posted on this site, just click on the link at the left. If you would like to organize a Junior or Senior team and participate, look over the match bulletins and send in an entry form. by just clicking this link and get a special discount of $10 off the normal amount.